There was a time when premarital agreements were reserved for the absurdly wealthy and the many-times divorced. Judges and attorneys routinely discouraged “regular” couples from entering into premarital agreements, as these documents were deemed “anti-marriage.” However, this is no longer the case. Today, many couples enter into premarital agreements. A premarital agreement can specify how individual as well as shared marital assets are handled in the event of divorce. This may include real property, life insurance, retirement benefits and more. For example, if one spouse owns a home individually, the agreement might say that that spouse retains the right to keep the home if they divorce. A premarital agreement can dictate the amount and duration of alimony, but it cannot adversely affect child support. 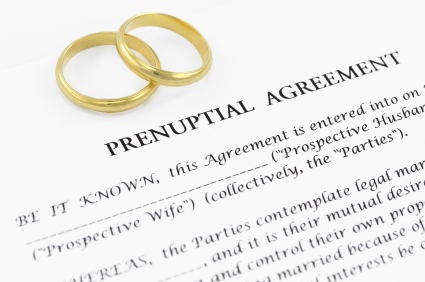 A premarital agreement must be in writing and signed by both parties. The agreement goes into effect as soon as the couple gets married. The validity of the agreement is based on the terms when the agreement was written and signed, not when it is enforced. If you are getting married and need advice regarding a premarital agreement, contact an experienced family law attorney.